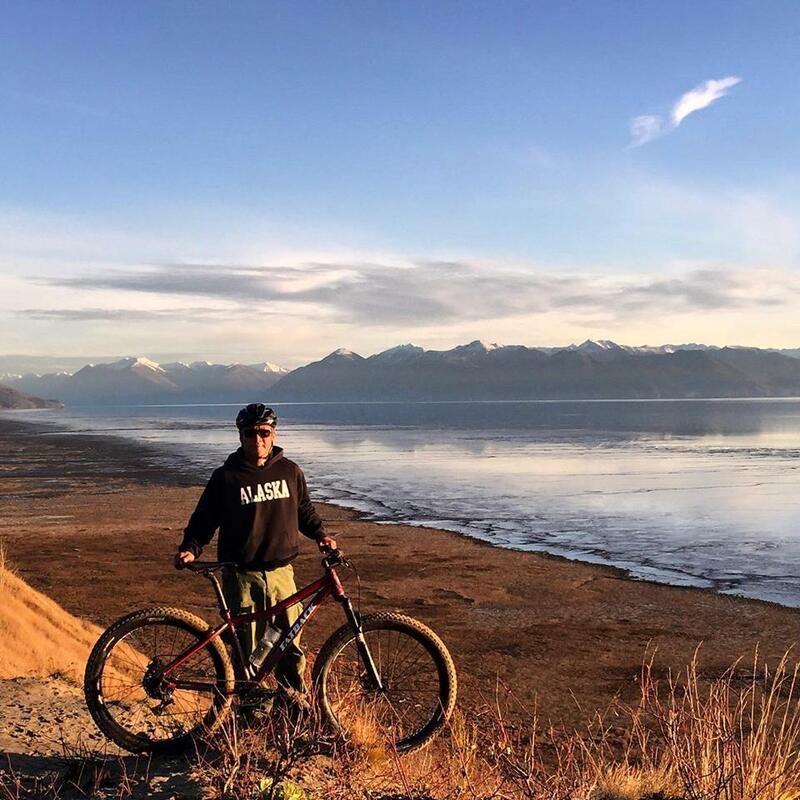 Learn about local history, flora and fauna of the “Last Frontier"
Jutting out into the magnificent Cook Inlet, Kincaid Park boasts some of the best single track biking trails in the world. Beautifully forested trails open up to sweeping seaside and mountain vistas and moose sightings are frequent. ​Join us for a great day of biking the single track trails of this hidden gem where the boreal forest meets the sea. Whether you are a beginner just learning the ropes or a seasoned expert, Kincaid Park has a trail for you. We will pick you up at your hotel. A 15 minute drive will take us to Anchorage's forested playground. Your naturalist guide will safely guide you on one of the many varied trails available in the park. Each days ride is carefully selected to take advantage of local weather conditions, group ability levels, and group interests. Rides generally last 1-2 hours but each day is custom tailored to suit your group. Learn about the rich geologic, natural, and human histories of the park and have fun identifying local flora and fauna with your expert host. We require that participants know how to ride a bike and be familiar with using hand brakes and shifting gears. Our fat bikes are designed for riders over 5'2" tall. For riders under that height an alternative bike may be provided.